Axe Brand Red Flower Oil is primarily made from wintergreen oil (methyl salicylate), pine oil (turpentine oil), cinnamon leaf oil, and capsicum. It was formulated for relief of rheumatic and muscular pain. The oil is also used for relief of aching ligaments, muscles, and joints caused by injury or over use, or sprains and stiffness following exercise or sports. Its penetrating action activates circulation, producing a soothing warm feeling and easing pain. Red Flower Oil is produced by Leung Kai Fook Medical Company Limited, in Singapore. The company was founded by Leung Yun Chee (1900-1971), who was born in Shunde, a city of Guangzhou, China. He traveled to Singapore during the 1920s and met up there with a German physician, Dr. Schmeidler, who gave Leung a formula for medicated oil. In 1928, Leung started the company to produce the medicated oil, moving into a three-story shop with a retail outlet on the first floor and manufacturing on the two floors above. After the Second World War, the demand for the oil increased and he built a much larger manufacturing facility, which remains today, though the manufacturing has expanded to include a factory in China. Leung's son, Heng Keng, helped manage the company since 1951 and took over in 1971; he remains company chairman today, while another son, Mum Sum, joined the company in 1986 as managing director. 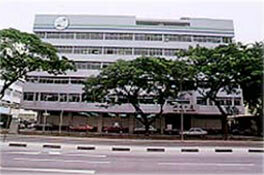 Leung Kai Fook Medical Company Limited. The original oil product of the company is referred to as "Universal Oil," and is still marketed. Red Flower Oil is a newer product that does not replace the former oil, but is designed to be more specific for the pain syndromes, having a stronger action. Most topical oils for pain contain methyl salycilate-the main active component of wintergreen-and that is the case here as well (60% of the oil), but this formulation is unique in having a high proportion of pine oil (22%), which has long been recognized as both an antiseptic and analgesic. Pine oil is marketed today to treat insect bites, nail fungus, and aching muscles and joints. The red color of the oil comes from the oleoresin of Capsicum annum, a hot pepper. The main active component is capsaicin, which is an alkaloid of deep red color; it has been shown to be an effective topical analgesic for most pain syndromes. 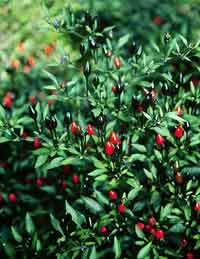 For some individuals, capsicum extract, pine oil, or other ingredients in Red Flower Oil can be a skin irritant. Therefore, a small amount should be tried before repeated applications over a larger area.